I’m a Scuttlebutt reader and enjoy their format, particularly the daily newsletter. The recent edition had a link to a set of pictures that rang a bell for me – take a look at how NOT to work your kite…but more telling than the photos is the appropriateness of the locale. If there's anywhere you’re going to get twisted it’s the SF Bay. 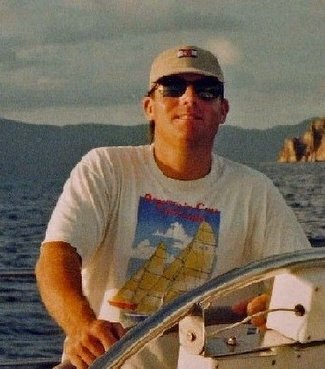 I have many (not so) fond memories of kite carnage from my time sailing on the Bay – one of the most spectacular was my experience on day two of the IACCSF Sausalito Cup) in June 2002 The wind piped up over 20 on the course. I was one of two mast men on John Sweeney’s boat, USA-11 Stars & Stripes. These vintage America’s Cup yachts are a thrill but huge part of the adrenaline is delivered by wondering what will break next. In this case it the topping lift went on the hoist, a seam on the kite blew and a block thru-bolted to the deck disintegrated….at least that’s how I remember it ;-) Not your typical kite twist...it removed us from the rest of the race. They called off day three due to an early blow that petered out by late morning. I remember Larry Ellison blustering to a small crowd of chin wagglers at the San Francisco Yacht Club bar while outside the stiff breeze shredded the Marin fog. It's funny how people pay attention to you when you’re worth a billion dollars. Wait, that’s a cheap shot…he’s a damn good sailor that Larry, Wired Magazine says so. That's really cool that you sailed on Stars and Stripes 11. Were you one of the bidders on EBay?